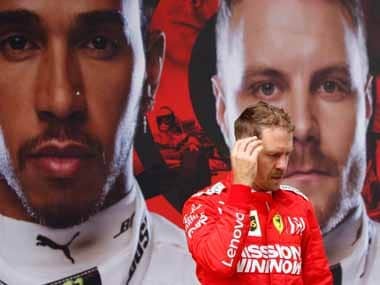 Kuala Lumpur: Lewis Hamilton says he is "loving" his world championship battle with Sebastian Vettel so much that he has banished any thoughts of retirement as he heads into Sunday's last-ever Malaysian Grand Prix. But a rejuvenated Hamilton this season broke Michael Schumacher's record for career pole positions and even spoke about attempting to match the German great's record 91 race victories after his 60th win — and third in a row — in Singapore. "I definitely have thought about (retirement)," the Mercedes driver admitted on a British TV chat show at the weekend. "But then we're in the heat of this battle right now and I'm loving it more than ever. It's the greatest feeling ever so I'm going to keep going for as long as I can and see what I can do." 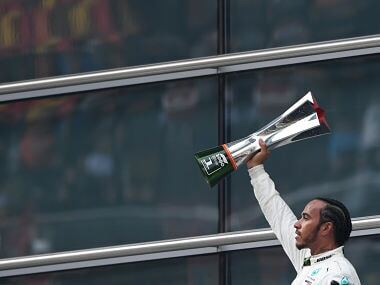 Hamilton, who started fifth on the grid, avoided the carnage and emerged victorious to extend his championship lead over Vettel from three to 28 points with six races to go, starting with Malaysia's swansong. "We will need to be on top of our game at every track to maintain our lead," said Wolff. "The last race was a strong reminder that sport always has the power to surprise. We have been on the receiving end of those bad memories before." 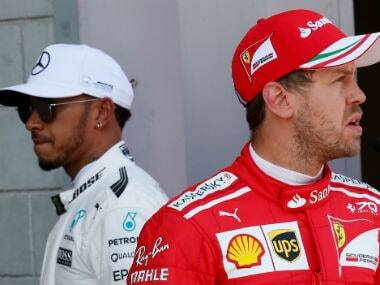 Ferrari team principal Maurizio Arrivabene vowed to keep the pressure on Mercedes. "Singapore doesn't mean the battle is over," he said. "Just that it has become more difficult." Vettel will look to strike back on a track where alongside Schumacher he has the best record of any driver, with four victories. Hamilton's lone Malaysian success came in 2014. 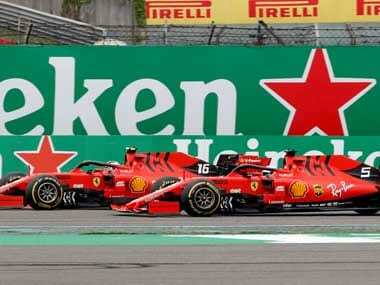 A year ago Red Bull, who this week announced Aston Martin as title sponsor from 2018, benefited from Hamilton's meltdown as they completed a one-two and they have been getting steadily stronger. 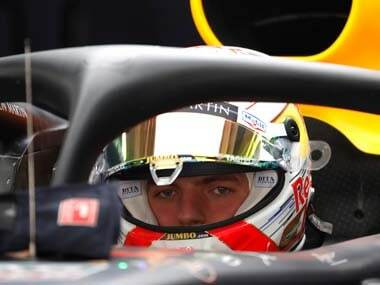 Daniel Ricciardo 12 months ago shared a "shoey" — champagne from his driving boot — with Max Verstappen after his surprise win. "My victory last year was definitely unexpected," said Ricciardo this week. "It just goes to show you never know what can happen." In April, Prime Minister Najib Razak announced this year's race would be the last. "Last year, the numbers were really bad," Razlan Razali, the chief executive of the government-owned circuit, told AFP. The government, he said, was forking out $67 million annually to stage the race. "Two numbers we looked at, spectators going to the track and TV ratings," said Razali. "At the end of the day, hosting Formula One is about promoting the country as a global destination and if the numbers are not there, the investment is not justified."